After all the stories about 2012 being the end of time, we’re still here. Kickin’ it. Nevertheless, I’ll still continue sharing my thoughts about local and international house music ’till the end-of-time. Here’s a track by Zakes Bantwini (SA Dance Music Artist) that illustrates how I’m so looking forward to kicking 2013 s behind. South Africa’s house/dance music is on a level of its own. International DJs are crossing oceans and climbing mountains to find the next dance floor filler on our native soil. An artist currently providing us with a selection of hits is Zakes Bantwini – the producer of L’vovo Derrango’s previous hits and an electrifying performer of note. He has teamed up with international acclaimed DJ Black Coffee on this album – their collaboration has produced the chat-topping hit Bum Bum (featuring Tumelo) that will have ladies shaking what their mama gave them. On a more love tip level he gives us Butterflies – I’m sure we’ve all had unexplainable butterflies floating in our stomachs. Wasting My Time is strong on both lyrical content and piercing musical prowess. Juju is featured on the album in the form of the Mindlo and Essential remix that has been highly rated by Rocco. 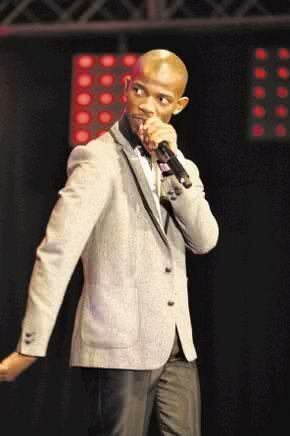 He features Shana on the exuberant Nomathemba. On this one he declares his love for the girl of his dreams – you’ll be bowled over by the praise-singing like vocal intro and its cunning approach that will melt any woman’s heart. Summer has a jazz feel to it. The lyrical content and the use of instruments is pure genius. Let summer go and just clap along to the vibrant Clap Your Hands ft Xolani Sithole I’m sure this one will cure any white person who can’t dance.